I am an Indian and I buy Curry Powder. There! I said it! And it is true that most of us born and raised in India on mom’s homemade food, do keep a jar of store bought Curry Powder around. My mom never did, but I do. I fully advocate its use when you are in a pinch for time; or don’t have all the ingredients called for in a recipe; or in fusion cooking. I especially love its versatility in fusion cooking such as pasta with curry sauce, curried avocado-egg salad and so on. Curry Powder, that is the store-bought kind has a bad rap as ‘unauthentic’ and ‘flavorless as saw dust’. I kind of agree with the first and disagree with the second, although I never ate saw dust. Firstly, yes, it may not sound authentic, especially when it is tragically substituted for any and all spices called for in ‘classic’ curries, like Chicken Tikka Masala or Dal Makhani. But yeah, sadly I have seen that happen. There is a wide spectrum of curries based on the gravy, consistency, spices used, region of origin etc. So one universal Curry Powder cannot be used with Chicken and call it, say, Chicken Tikka Masala. It is perfectly fine to call that concoction ‘Chicken Curry’, but just not Chicken Tikka Masala. Please! Doing so will naturally make Curry Powder ‘unauthentic’ and looked down upon!! Secondly, Curry Powder is NOT flavorless. See the ingredient label—it has all the spices normally used in Indian cooking. So you CANNOT miss the heady flavor. 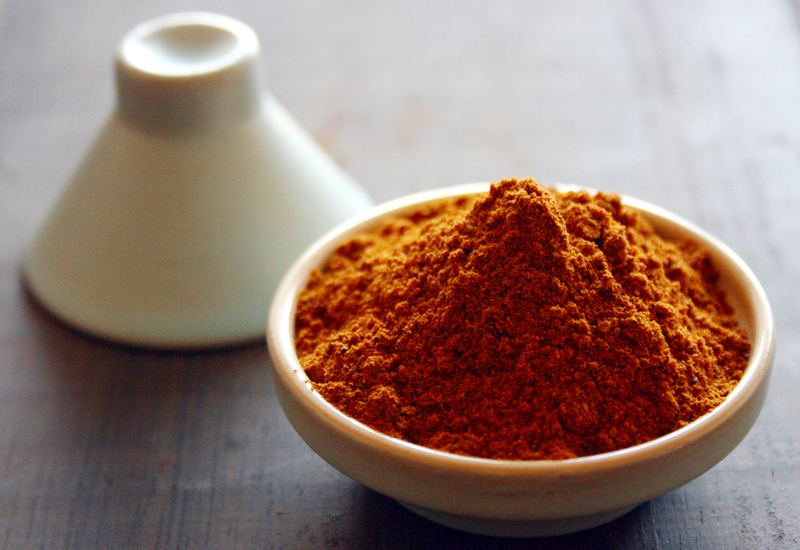 Curry Powder is an invention for the convenience of busy cooks or new cooks. As I said my mom never used it. It was not popularly available back then. Also, my mom had the time and patience to concoct her own Curry Powder, Rasam or Sambar powders. I do that too, and also buy Curry Powder. 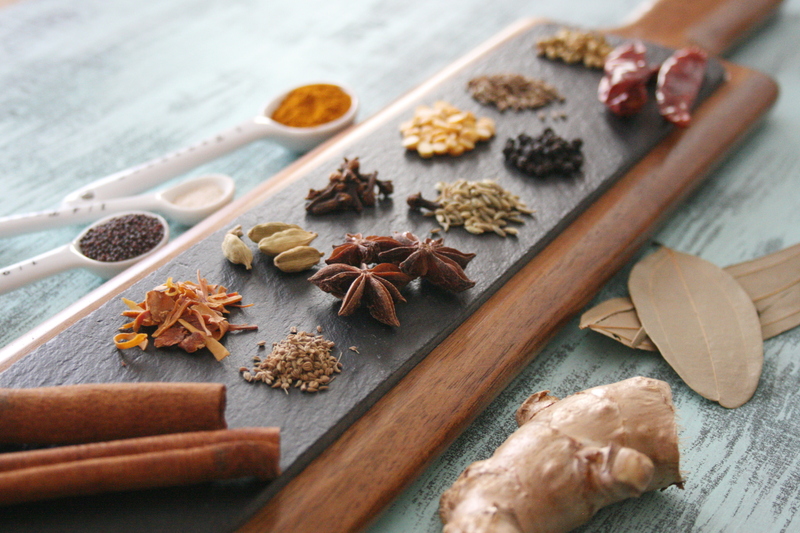 I use this Curry Powder in fusion cooking to lend an Indian twist. In fact, I exclusively prefer store bought Curry Powder when I don’t like to feel the graininess of the ground spices. I tried everything from coffee grinder to heavy duty blender to food processor, but could not get my Curry Powder powdery soft. It is left with some graininess no matter what. I could sift it, but I am not willing to go with that tedious step. And some graininess or crunch is fine (actually preferred) in some specific South Indian preparations, but I definitely do not like that in fusion cuisine. I also sometimes use this in curries like Dahi Alu or Tomato curry (a la Shakshouska). With a pinch of curry powder you can instantly add a unique Indian flavor to appetizers or sides, or roasts or stews. Curried roasted root vegetables, anyone? Or how about Spinach and Heirloom tomato salad with Sweet Curry vinaigrette? Oh the possibilities, you’ve got to discover them!! You will see that everyone’s Curry Powder is different. 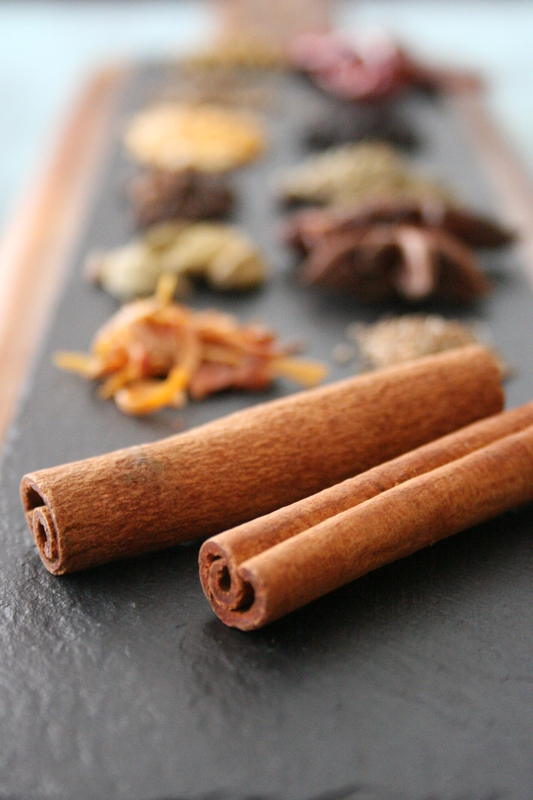 There is no one single formula, just as the case with Garam Masala. Curry Powder may consist of anywhere from 12 to 20 spices/ingredients. Many formulas have most of the basic ingredients, but the proportions may vary lending distinct tastes. Below you will see the primary ingredients that go into my homemade Curry Powder–they represent roughly 2/3rd of the spices in my pantry. Yes, I have some more that I would add depending on my mood. I have the common ingredient list below, in case you want to make your own. Some ingredients are readily available, while some are exclusively available in Indian grocery stores. Proportions for all ingredients are equal except Asafoetida (or Hing as called in Hindi). It is pungent, and for many it is an acquired taste. So use sparingly! I would start with a teaspoon of each and a really tiny pinch of Asafoetida. Or you can completely omit it. Dry roast all except Turmeric, Ginger powder and Asafeotida in a pan on medium heat for 3-4 minutes. Stir to roast evenly. Wafting aroma is a good indicator that the spices are sufficiently roasted (color test does not work here, due to multiple colors). Let it cool and add Turmeric, Ginger powder and Asafeotida and grind it all into a fine powder. Store in an airtight jar. Can you tell me what is biryani masala and what does it consist?